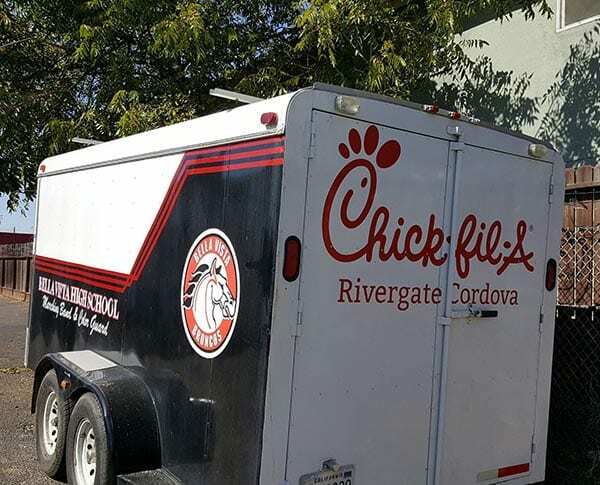 Vinyl wraps, lettering, graphics, and decals are great ways to express yourself and promote your message. Whether you want to display your message on a car, truck, boat, or any other vehicle, Rocky Mountain Auto Works in Sacramento is the place to get the work done quickly and professionally. For all of our standard vinyl colors we use Oracal high-performance cast vinyl, with an outdoor rated lifespan of 8 years. We regularly have customers who exceed this rating! You can buy with confidence, because our vinyl product will last and is an incredibly affordable advertising option to share your message any place you drive. Rocky Mountain Auto Works develops digital artwork for you by taking advantage of new printing technology that allows your artwork to be printed onto high-quality, adhesive-backed vinyl. Our expert team will install it wherever you want for an impactful message. Or, if you prefer, create your own custom vinyl car decals and vinyl automotive graphics for your vehicle, and let us install them. Change up the interior and/or exterior of your car. Rocky Mountain Auto Work installs 3M’s Carbon Fiber Scotchprint 1080 series carbon fiber, matte, brushed metal, and gloss vinyl. 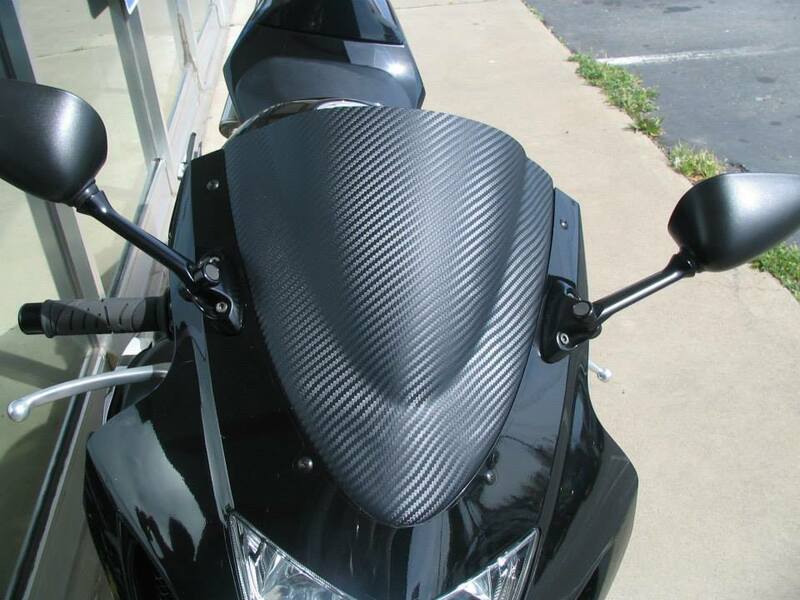 The carbon fiber wrap looks and feels like the real carbon fiber, but is more versatile and less expensive. Whether you want to resurface your car’s roof, hood, back, trunk, spoiler, or sides, or give your door handles, rear view windows or bumpers a new look, Rocky Mountain Auto Works has the answer! 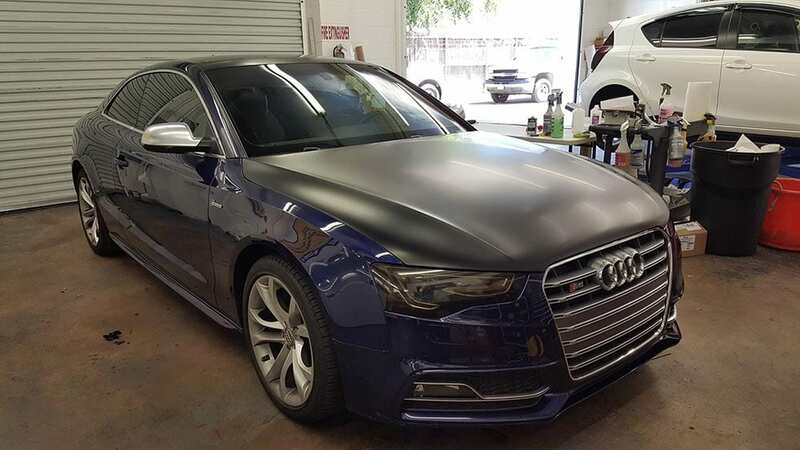 Carbon fiber, matte, brushed metal and gloss vinyl wraps are also great accents to interior dashboards and center consoles, giving your car a sporty aftermarket look.